Steven J. Cennamo, D.D.S., F.A.G.D. Dr. Cennamo graduated from Columbia University School of Dental and Oral Surgery. 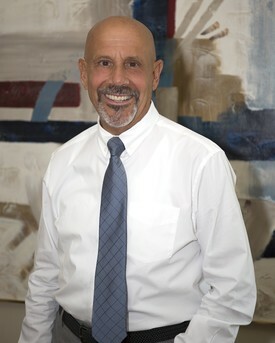 After graduating in 1980, he continued his dental education in a General Practice Residency at Northport VA Hospital, University Hospital of Stony Brook University,and Long Island Jewish Hospital. In July of 1981, he joined Colonia Dental Group. For the past 36 years Dr. Cennamo has been on staff at JFK Medical Center in Edison, where he teaches the general practice dental residents. Dr. Cennamo is currently a member of the American Dental Association, New Jersey Dental Association, Middlesex County Dental Society and the 3rd Millennium Study Club. He is a member of the Academy of General Dentistry where he has earned his Fellowship degree. Presently, Dr. Cennamo participates in numerous dental continuing education courses so that he can continually update his skills and competently provide the most modern services to his patients. Dr. Horowitz graduated from Fairleigh Dickinson Univ., Teaneck, N.J., where he served as President of the Student Government, with a Bachelor of Science degree in 1970. He continued his education in Fairleigh Dickinson's School of Dentistry and graduated a semester early (one of only 8 students ever to do so) with a Doctor of Dental Medicine (D.M.D.) degree in Jan. 1974. He was invited by the faculty to become a member of OKU, a dental honor fraternity, the highest honor bestowed on graduates. He joined Dr. Stephen Kaplan (retired) to form Colonia Dental Group in Feb. 1974 and has practiced in the current office since then. Dr. Horowitz is a member of the American Dental Assoc., the New Jersey Dental Assoc., and the Middlesex County Dental Society. He is a member of the Academy of General Dentistry in which he received a Fellowship degree (FAGD). Dr. Horowitz joined the staff of JFK Medical Center in Edison, N.J. in 1974 where he teaches the dental practice residents. Dr. Horowitz is a member of the Raritan Valley Study Club, the Dental Practice Study Club and the Seattle Study Club all of which hold regular monthly meetings throughout the year to further the education of the members. He has routinely taken more than 100 hours of continuing education annually. 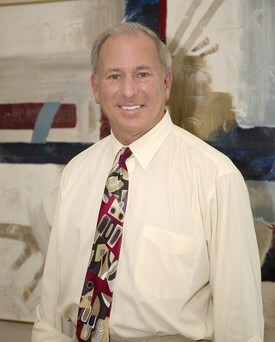 Dr. Horowitz is proud of his career of providing gentle, caring dentistry for all of his wonderful patients. Dr. Apratim has been with Colonia Dental Group since May of 2016. She earned her Bachelor of Science degree in Biological Sciences from Rutgers University with high honors, and subsequently studied at the University of Medicine and Dentistry in Newark, NJ where she earned her Doctorate in Dental Medicine. At the time of graduation, Dr. Apratim received honors in prosthodontics from the Gamma Pi Delta fraternity. Dr. Apratim continued her dental education at JFK Medical Center in Edison, NJ where she was able to treat many patients and hone her skills in the various dental specialties. Prior to joining Colonia Dental Group, Dr. Apratim spent time practicing in Basking Ridge, NJ. Dr. Apratim is currently a member of the American Dental Association, the New Jersey Dental Association, the Middlesex County Dental Society, the 3rd Millennium Study Club, and the Academy of General Dentistry. She regularly completes continuing education credits and is in the process of earning credits to complete a Fellowship Degree. Dr. Apratim and her husband Manjul reside in Metuchen and enjoy spending time with family and friends. In her spare time, she enjoys cooking, traveling, and painting. Dr. Apratim has a love for both science and art, and this is what drew her to dentistry. 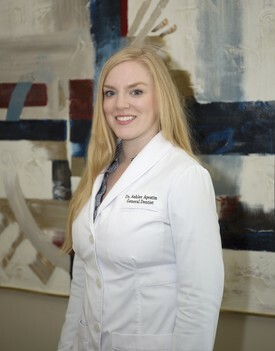 She enjoys sharing her passion with patients while educating them. 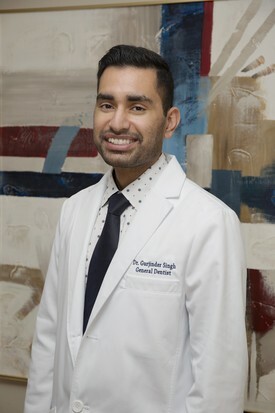 Dr. Singh joined Colonia Dental Group in January of 2019. Dr. Singh earned his Bachelor of Science degree in Biology from Saint Peter's University with a high honors distinction. Subsequently, he studied at the University of Medicine and Dentistry in Newark, NJ, where he earned his Doctorate in Dental Medicine. Dr. Singh completed a one year residency at Monmouth Medical Center in New Jersey, where he honed his skills in all dental specialties. Prior to joining Colonia Dental Group, Dr. Singh spent several years practicing in the Fanwood and Somers Point areas of New Jersey. Dr. Singh is currently a member of the American Dental Association, the New Jersey Dental Association, the Middlesex County Dental Society, the 3rd Millennium Study Club, and the Academy of General Dentistry. Continuing education is a routine part of Dr. Singh's schedule as he furthers his goal of completing a Fellowship Degree. Dr. Singh enjoys spending time with family and friends. His interests include hiking, traveling, and exploring different types of cuisine. Dr. Singh has a calm and gentle nature, and has a gifted ability to put nervous patients at ease.